Small volcanic earthquakes and pulses of tremor continue to be visible at seismograms of Telica volcano. Lots of small quakes and long-period events show up on the seismic signal, suggesting that the volcano remains active at the moment. Elevated seismic activity is visible suggesting that some activity (strong degassing, perhaps small lava pond in inner pit) goes on. Lot of seismic activity appears on the seismic recording of Telica including many small quakes and pulses of tremor, suggesting that lava activity in the inner crater is continuing. 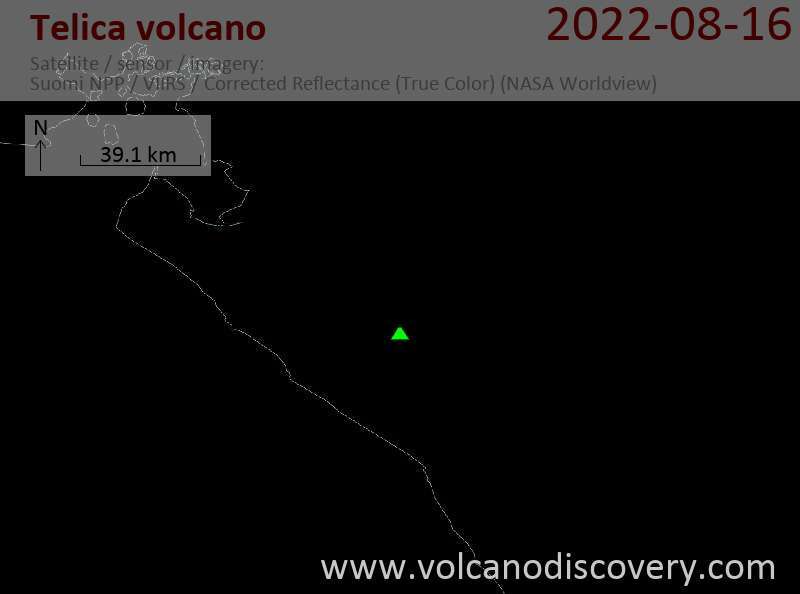 Telica volcano has had some minor activity this month. A recent youtube video shows a small active lava pond at the bottom of the inner pit crater and newspapers report an increase of (fumarole) temperatures from 200 to over 400 deg C, as well as weak explosions and degassing accompanied by turbine-like sounds.